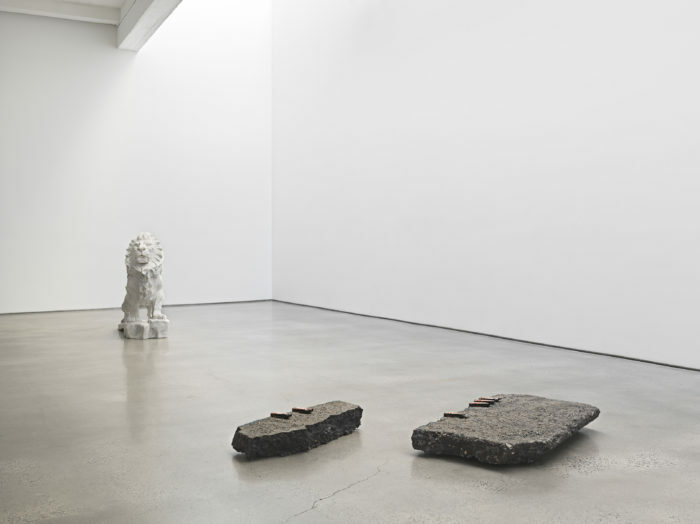 Metro Pictures presents a selection of new work by Berlin-based artist Nina Beier in her second exhibition at the gallery. 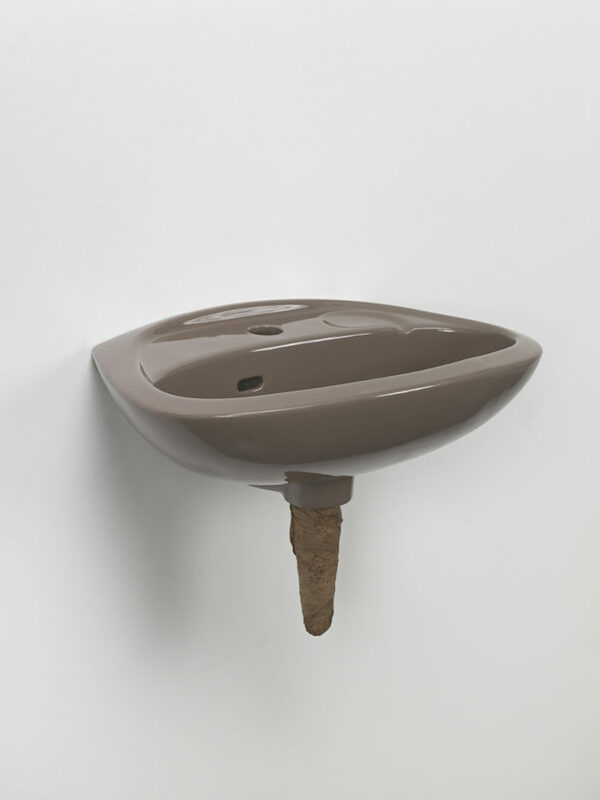 Beier’s work unfolds the histories enmeshed with serially produced objects and materials. 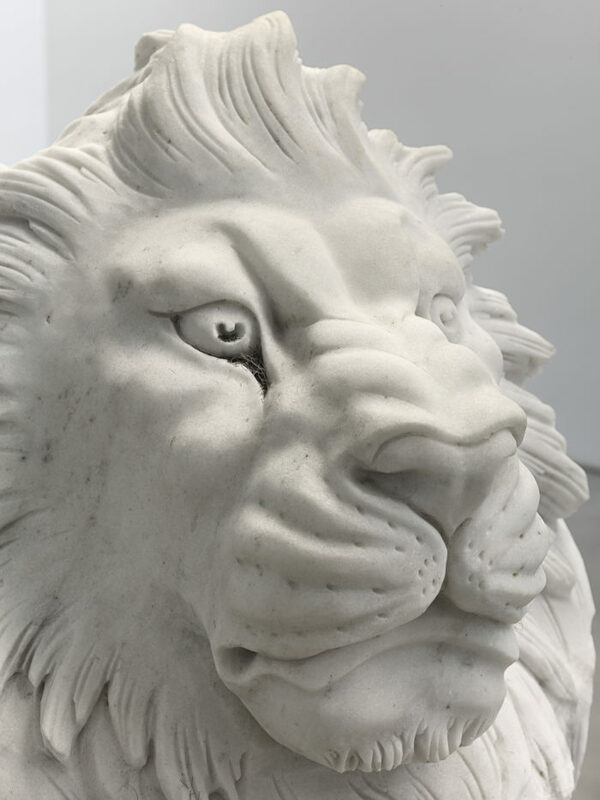 She is drawn to those that have continually mutated and evolved as a result of transcultural exchange, reflecting on the fluctuating value assigned to them throughout the world at different times in history. 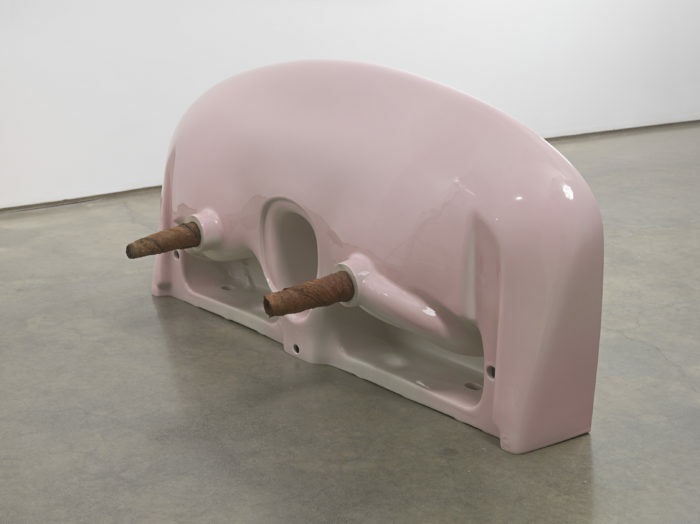 The artist’s work offers space to contemplate the many and divergent meanings embedded and projected onto these objects. 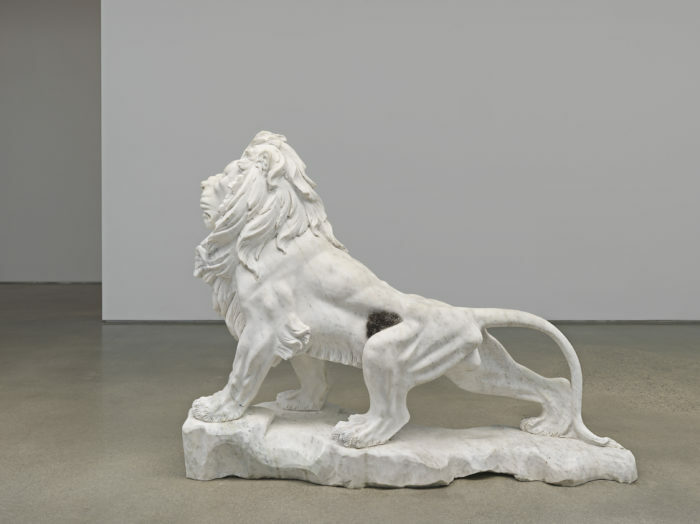 For example, her sculptural arrangements equally consider the cigar as handmade object, historically traded good, and symbol of power; they exist between an object, its representation, and our interpretation of it. 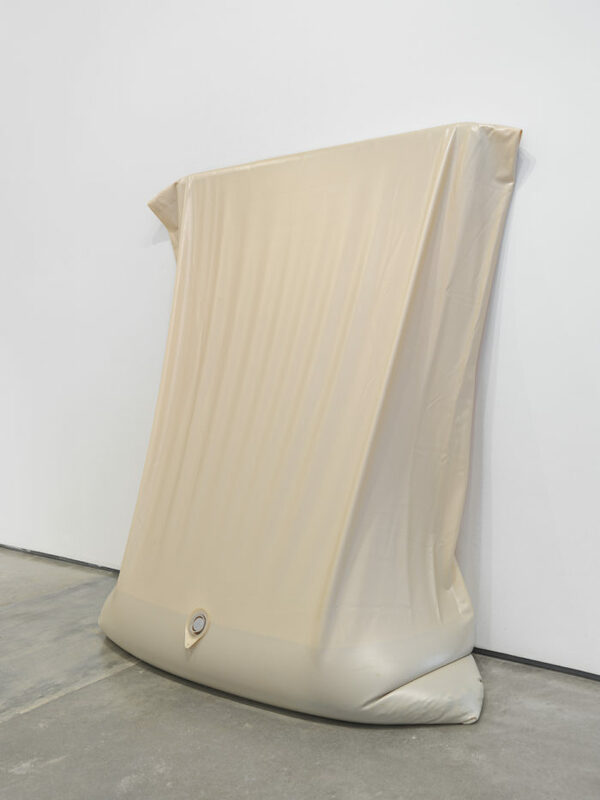 The eponymously titled series Baby comprises large waterbed mattresses suspended from the wall. 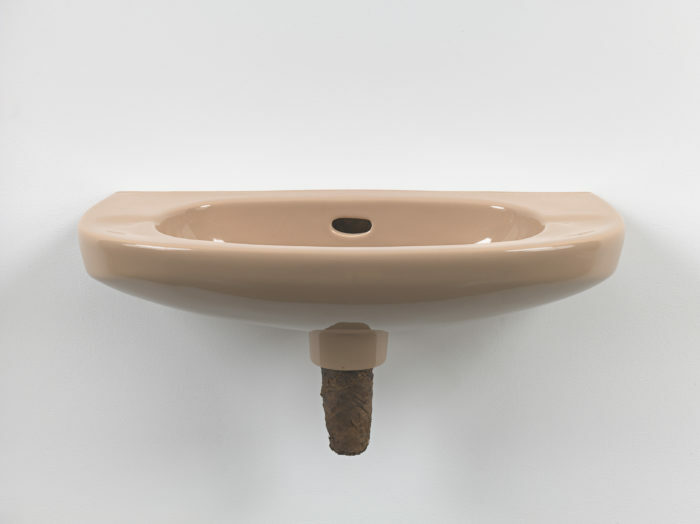 Filled with pebbles, coins and water, the large membranes tensely bulge and sag, suggesting their “water may break.” In the series Plug, bathroom sinks sit on the floor and hang from the walls of the gallery, stuffed with cigars that have been hand-rolled to fit perfectly and suggestively into their drain pipe openings. 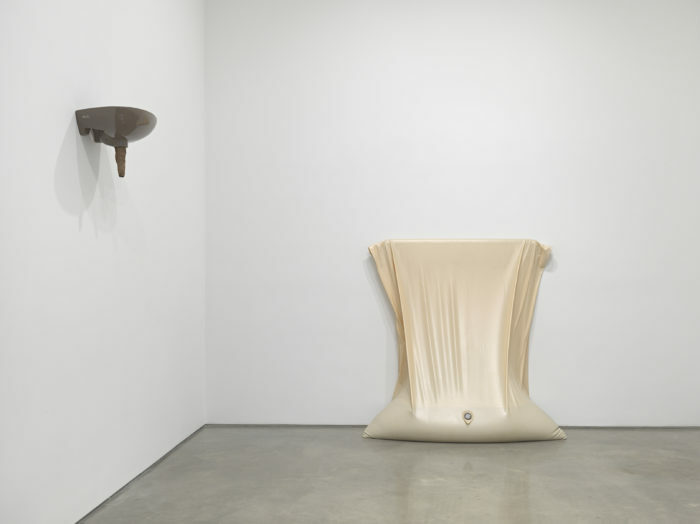 Beier engenders dialogue between her chosen materials. 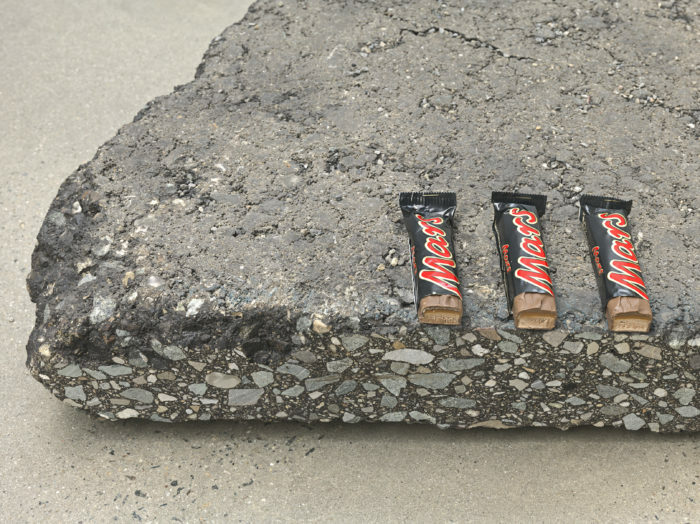 Grand marble lions and beard trimmings, Mars bars and slabs of asphalt freshly cut from the street come together to create conversations in which material properties and sociopolitical baggage talk in circles. 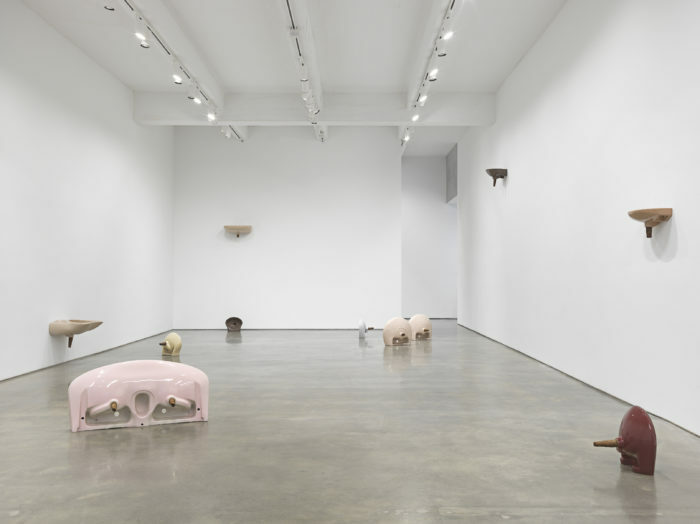 The works on view in Baby test how value is both constructed and undone, allowing a myriad of non-hierarchical interpretations. Beier’s collaborative project Wintry Mix, with John Miller, is on view through January 18 in the windows of NYU’s 80WSE Gallery, located on Broadway and Washington Square Park. Her one-person exhibition Food Chain Café at Kunstforeningen GL Strand in Copenhagen is open through January 20. 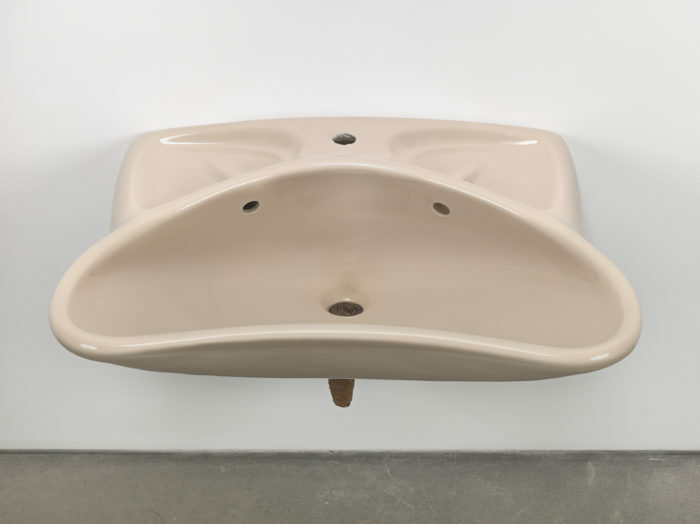 Previous one-person exhibitions include Spike Island, Bristol, United Kingdom; Kunstverein, Munich; Kunstverein Hamburg; David Roberts Art Foundation, London; Objectif Exhibitions, Antwerp; Kunsthaus Glarus, Switzerland; Nottingham Contemporary, United Kingdom; Mostyn, Llandudno, United Kingdom; Kunsthal Charlottenborg, Copenhagen; and the Yerba Buena Center for the Arts, San Francisco. 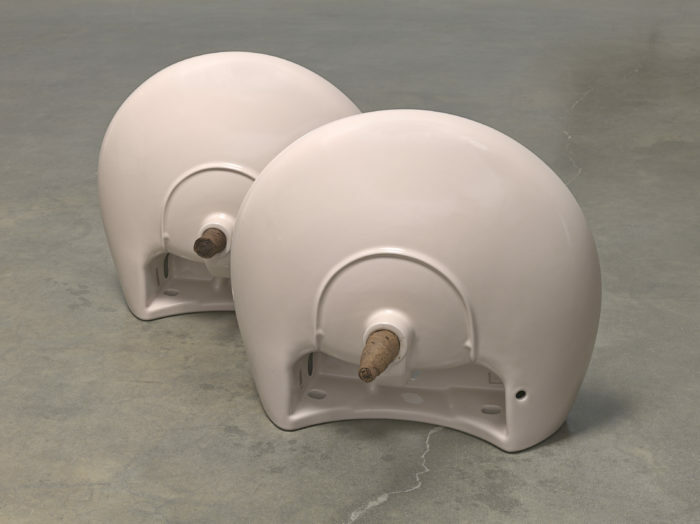 Beier has been represented in exhibitions at the Walker Art Center, Minneapolis; Centre Pompidou, Paris; Tate Modern, London; Yuz Museum, Shanghai; Kunstmuseum St. Gallen, Switzerland; CCA Wattis, San Francisco; Musée d’Art Moderne, Paris; KW Institute for Contemporary Art, Berlin; Artists Institute, New York; Fondazione Sandretto Re Rebaudengo, Turin; and the Power Station, Shanghai. 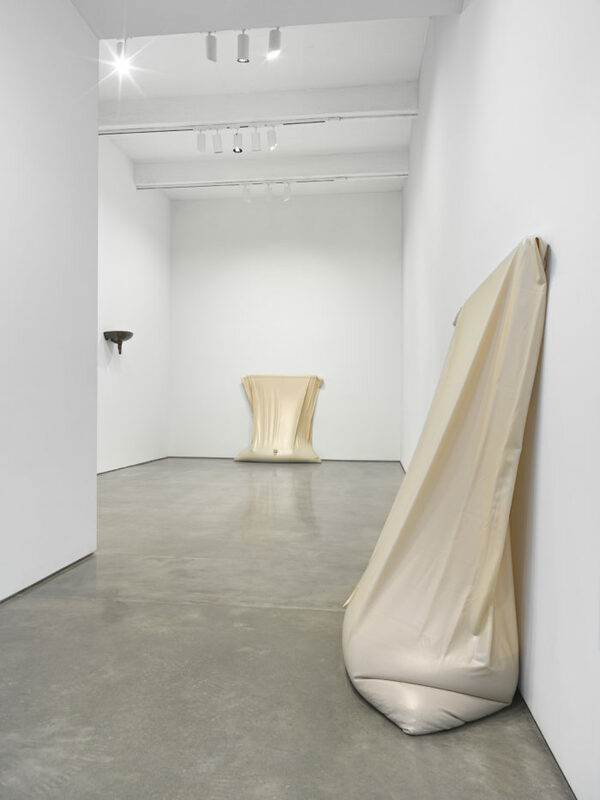 Her performance-installation Anti-ageing was commissioned by Performa 15 and staged at the Swiss Institute, New York, and then reprised as part of ICA London’s Art Night in 2016. 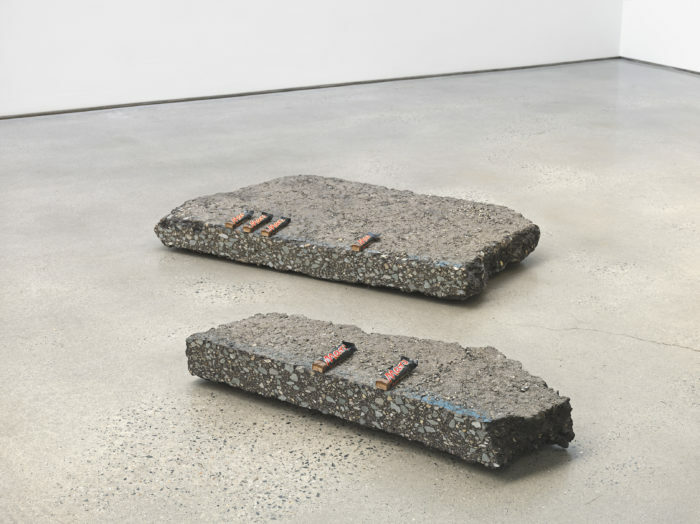 That same year her work was included in the 13th Biennale de Lyon and the 20th Biennale of Sydney. Beier is the recipient of Germany’s prestigious Prize of the Böttcherstraße. © Metro Pictures, New York, New York U.S.A.